The work unto which the servant of Christ is called is many-sided. Not only is he to preach the Gospel to the unsaved, to feed God's people with knowledge and understanding (Jer 3:15), and to take up the stumbling stone out of their way (Isa 57:14), but he is also charged to "cry aloud, spare not, lift up your voice like a trumpet, and show My people their transgression" (Isa 58:1 and cf. 1 Tim 4:2). 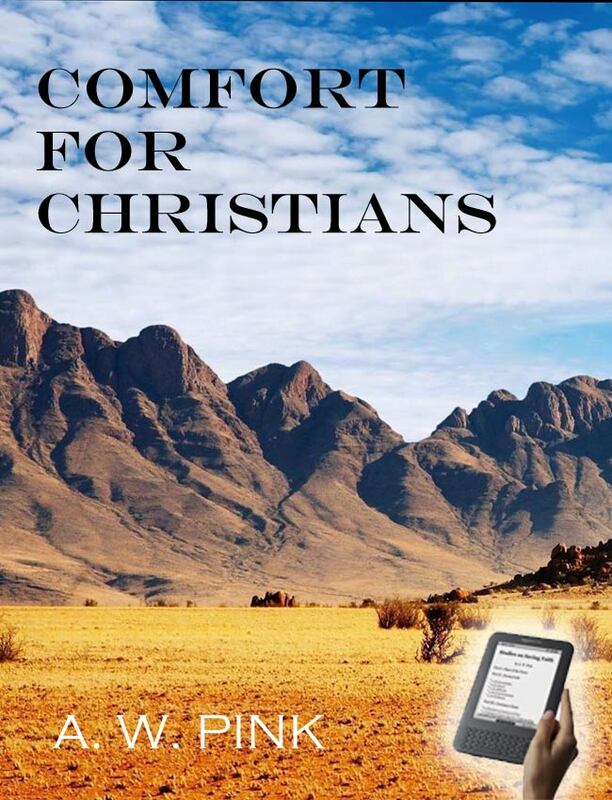 While another important part of his commission is stated in, "Comfort, comfort My people, says your God." (Isa 40:1). What an honorable title, "My people!" What an assuring relationship: "your God!" What a pleasant task: "comfort My people!" A threefold reason may be suggested for the duplicating of the charge. First, because sometimes the souls of believers refuse to be comforted (Psalm 77:2), and the consolation needs to be repeated. Second, to press this duty the more emphatically upon the preacher's heart, that he need not be sparing in administering cheer. Third, to assure us how heartily desirous God himself is that His people should be of full of joy (Phil 4:4). God has a "people," the objects of His special favor: a company whom He has taken into such intimate relationship unto Himself that He calls them "My people." Often they are disconsolate because of their natural corruptions, the temptations of Satan, the cruel treatment of the world, the low state of Christ's cause upon earth. The "God of all comfort" (2 Cor 1:3) is very tender towards them, and it is His revealed will that His servants should bind up the broken-hearted and pour the balm of Gilead into their wounds. What cause have we to exclaim "Who is a God like unto You!" (Micah 7:18), who has provided for the comfort of those who were rebels against His government and transgressors of His Law.